This year will prove to be an important one for the International Linear Collider project. All signs indicate that the Japanese national government will make their decision whether or not to host the ILC sometime from the end of 2017 to 2018. It is vital for all related parties to continue to urge the government to host the project, but we also must be prepared – if and when the green light is given to the ILC, all of us must be ready to “accelerate” ILC initiatives. 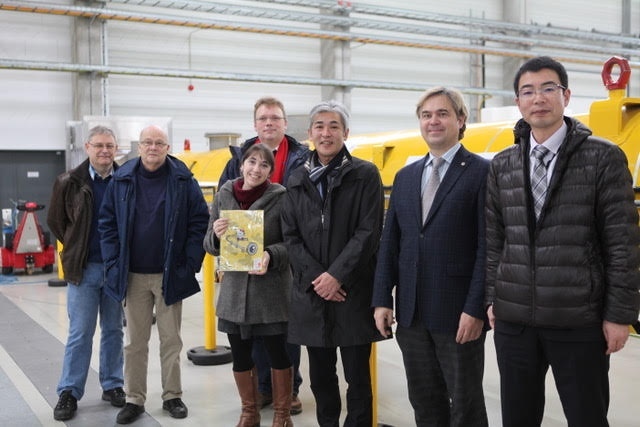 To that end, Shigeki Chiba, Vice-governor of Iwate travelled to Europe in January 2017 to see some of its large scientific research facilities … and to glean insights that will be helpful as Iwate prepares an environment that can receive the ILC. 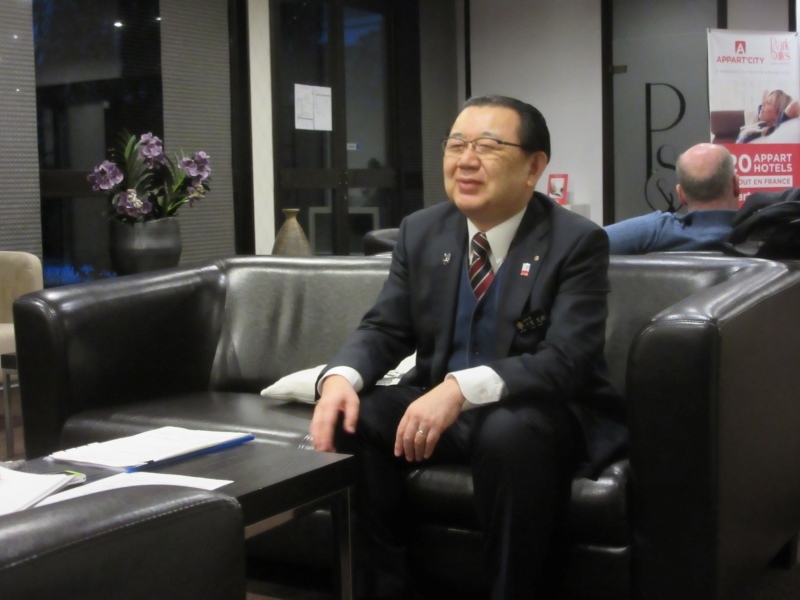 THE KITAKAMI TIMES sat down with the Vice-governor to hear his thoughts, as well to learn what’s in store for Iwate and the ILC this year. What were your impressions of CERN, the largest research facility for particle physics in the world? CERN is surrounded by natural beauty, with nearby pastures and fields, and Mont Blanc, Lac Leman, and the Jura Mountains in the background. I was reminded of how much the area has in common with Iwate Prefecture, like Mount Iwate and the Sanriku Sea. 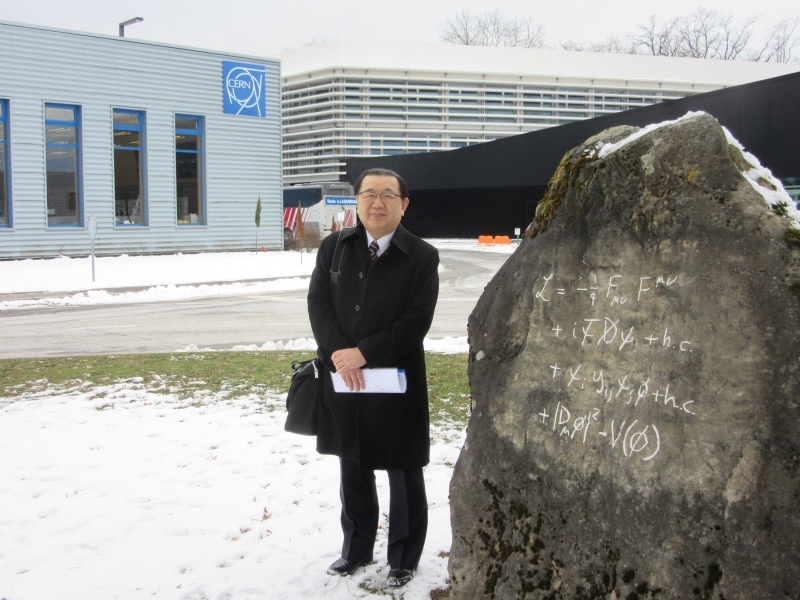 At CERN, I had fruitful discussions with Lyn Evans, the director of the Linear Collider Collaboration, and Akira Yamamoto, a professor from KEK and former regional director for Asia in the LCC. A great achievement of this trip was the fact that I was able to affirm the mutual cooperative relationship between Iwate Prefecture and the researchers working for the ILC. What was the most impressive thing you saw at CERN? They showed us places that are normally closed to visitors – we were able to see them because the beam was down for maintenance. These machines up close really are different from the pictures. I was very impressed with Point 4, one of the LHC access points located in the countryside. There, Lyn Evans and Marzia Bernardini showed us the LHC accelerator deep underground. We also got to see ATLAS, the detector that records the data of the particle collisions. I once again was able to see how large these experiments really are. We also saw what it’s like to live in the area surrounding CERN. Was there anything you saw that you thought we should prepare in Iwate? There were certainly things that I felt were necessary if the ILC becomes a reality. When we saw the cafeteria at CERN, there was so much informal communication going on. Of course there is plenty of discussions and exchange between researchers when they’re working, but even during lunch, people are still hard at work! At CERN, there are so many places for communication, both formal and informal. I think that is extremely important for a research facility. We also need to create a research facility in harmony with the surrounding environment. I think they’ve done a great job of that at CERN. The facility (Point 4) melds right in with the forests and mountains. The Iwate Prefectural Government will be able to cooperate in that manner. I also think they’ve paid close attention to the people living in the area, creating bike paths and spots where you can learn more about CERN. Those are things that the government can help create when building the facility. Linear Collider Workshop 2016 held in Morioka in December was a rousing success. The year 2017 will be a moment of truth for the project, as the Japanese national government is scheduled to make their decision this year. 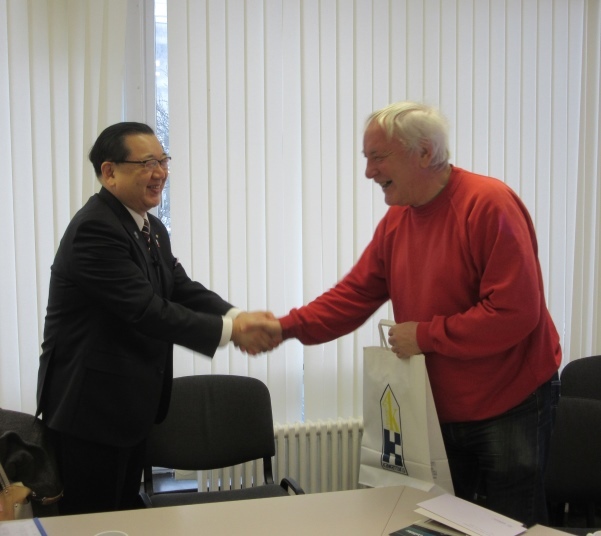 As the candidate site for the ILC, what are Iwate’s plans for the year? The researchers at LCWS 2016 shared an approach for reducing costs of the ILC, called staging (building the ILC in stages and steadily ramping up its capabilities), and there were further discussions about what can be done to make the project a reality. There was also a message from the Chair of the non-partisan Federation of Diet Members for the ILC, Hon. Takeo Kawamura, who called for “Science First with the ILC.” The LCWS was a leap forward towards the realization of the ILC. 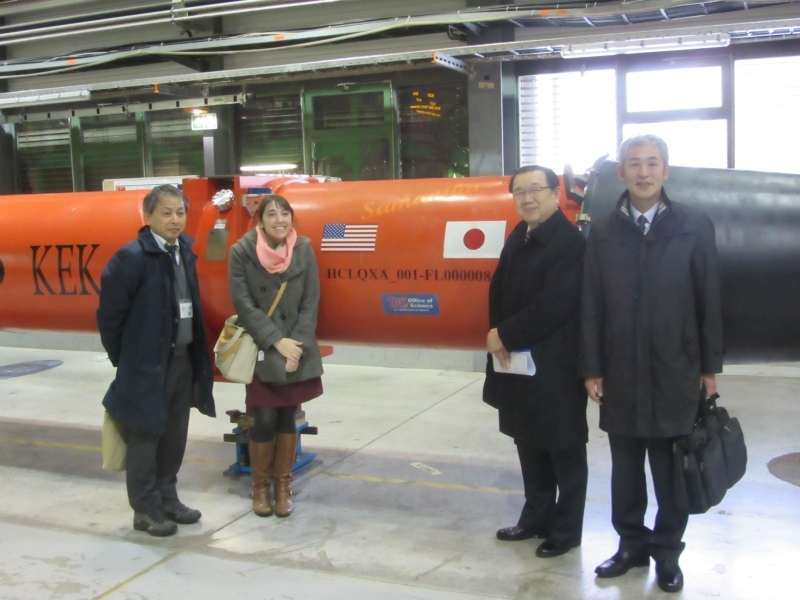 It was also a wonderful opportunity for us in Iwate to see what the future with the ILC would be like. Governor Tasso said in his first press conference of 2017 that this year would be a moment of truth for the ILC. It is very important for the Tohoku region to work as one, with the Tohoku ILC Preparation Office at the center. Iwate Prefecture will make use of the Iwate ILC Coordination Office and carry out its own role within the ILC effort, and we think it’s important to make an even greater effort to spread enthusiasm for the project throughout Japan and the rest of the world, as well as petition the national government. We will use the relationships formed with researchers through both LCWS 2016 and this visit to help us improve our education, healthcare, and other systems, in order for researchers and their families to have a comfortable life here in the region. The whole prefecture is working towards preparing itself to receive the ILC in this way. Additionally, last year we started the ILC Caravan*, which will proactively spread awareness of the project throughout Iwate, and work to increase ILC fervor in the Iwate people. *A traveling lecture series about the basics of the ILC, its economic and societal impact, and ILC initiatives carried out in the region. What is the message of the ILC Caravan? We want to increase interest in the ILC, particle physics, and fundamental science in our young people. We want them to know what kind of research will take place at the ILC, and what kind of role it will have in the region. We also want the people of Iwate to see that the ILC’s research will have many effects on healthcare and other fields. So I think it’s important to use the ILC Caravan to inform the Iwate people of the big picture of the ILC. What will the Iwate Prefectural government be doing to encourage a speedy decision from the Japanese national government? We have to stress that the ILC facility will have a very wide, varied role to play through its contributions to related fields. It is important for us to strengthen our partnership with business and academia, and work together with all related parties to petition the national government so that they will decide on the ILC’s position in their policies this year. Do you have any messages for the researchers abroad? Iwate is blessed with abundant nature and a culture that has lived in harmony with that nature for centuries. It is the perfect place to do research. Should the ILC become a reality, we will do everything in our strength to support its creation so that you may all come to Iwate to do your research. I also want to thank everyone from the LCWS for coming to Iwate. And for all of you out there who have not yet had the chance to visit, we have so much to enjoy, from our beautiful nature, delicious food, to our rich cultural heritage. Is there any particular Iwate cultural heritage you’d like our readers to know about? One uniquely Iwate thing would be our folk arts. These are dances and performances that were performed by normal people in their respective towns and villages, and they all developed distinctly from one another. One of those would be the Hayachine Kagura dance, which has been designated an intangible Cultural Heritage of Humanity by UNESCO. Another thing I think people would be interested in is our Sanriku Geopark. This park stretches down the entire coast of Iwate, with a number of unique geological formations as well as reminders of the lessons learned from the 3.11 tsunami. We are currently a Japanese national geopark, but are aiming for a bid towards global geopark status from UNESCO. Finally, to all those reading THE KITAKAMI TIMES: I am deeply counting on your cooperation in spreading the news about Iwate, Tohoku, and the ILC project! 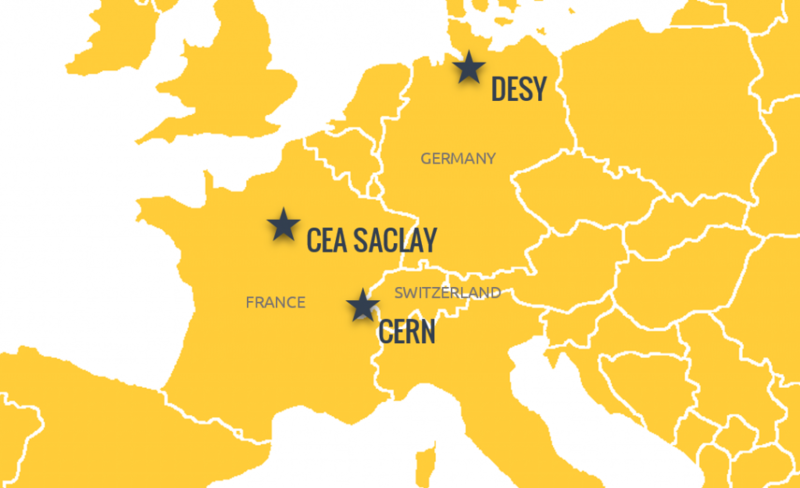 The Iwate ILC Office team continues on to CEA Saclay and DESY! *New to the ILC? We’ve got a glossary at the end of the article for all these acronyms. 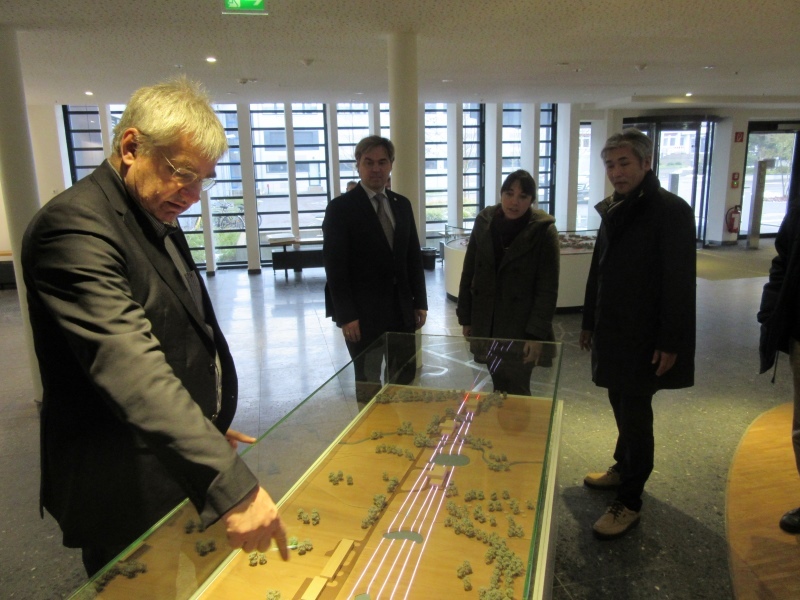 While the Vice-governor spent some more time in France to promote Iwate tourism and specialty goods, the accompanying staff from the Office of Science and ILC Promotion (and yours truly) had a double-hitter tour of CEA Saclay outside of Paris, France, and DESY in Hamburg, Germany. 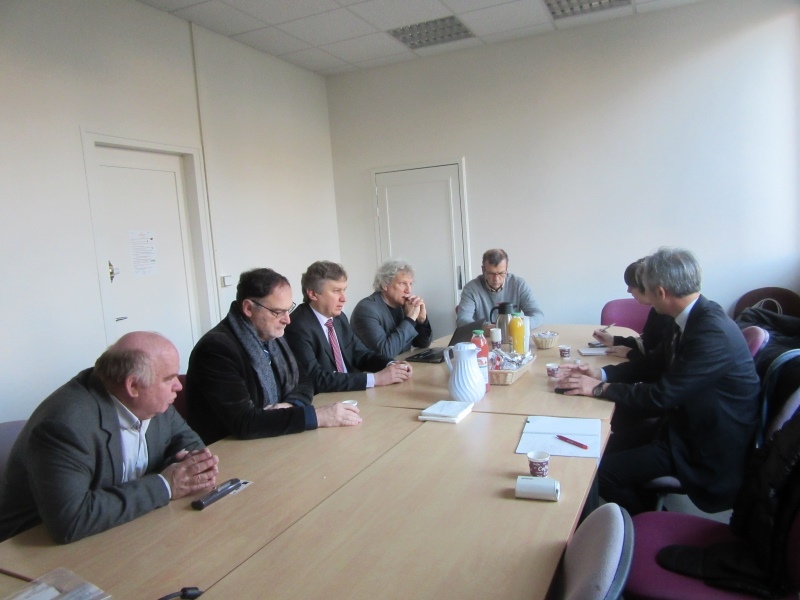 At Saclay, we toured a former cryomodule production facility and spoke with officials from Irfu and IN2P3, two French institutions that focus on subatomic and astroparticle physics. These two institutions are actually funded by two different agencies (CEA & CNRS) with separate missions, but on the topic of the ILC, the two fulfill important roles in Europe and cooperate together. Then we flew to Hamburg, Germany to visit DESY, which is home to many different types of accelerator-based research. It was here that the superconducting radiofrequency technology used to accelerate particles in the ILC was developed. Not only did we get to see PETRA III, their synchrotron facility, but also the HERA collider, and the test facility for the cryomodules produced at CEA Saclay. Yes, these cryomodules are an international project – a hundred in all built to construct the European XFEL. The European XFEL – the European X-ray Free Electron Laser – kept coming up during these visits. This research facility is currently being built at DESY, and will be home to a linear particle collider that uses the SCRF technology to bring electrons to a high energy state – very similar to the ILC! In fact, in some ways the XFEL could be seen as a mini-ILC, and a test run for implementing technologies that will be needed for the ILC. It’s also another example of what countries can do when they work together on fundamental science research. During our talks, it was reiterated that the ILC will require more than just general cooperation with “Europe.” This trip was useful for getting a sense of the different governmental structures involved with each country. Plus, our appreciation goes out to the warmth and generosity of all of the people who hosted us. As we gear up for this important year for the ILC, we know we have our friends overseas to guide us and help make the ILC dream come true. The European Organization for Nuclear Research, located in Geneva near the border of France and Switzerland. Otherwise known as the largest particle physics laboratory in the world, with 22 member states. CERN is home to the Large Hadron Collider, where the discovery of the Higgs particle was made in 2012. The ILC will further study the properties of this particle. Japan’s High Energy Accelerator Research Organization (Kou enerugii kasokuki kenkyuu kikou). 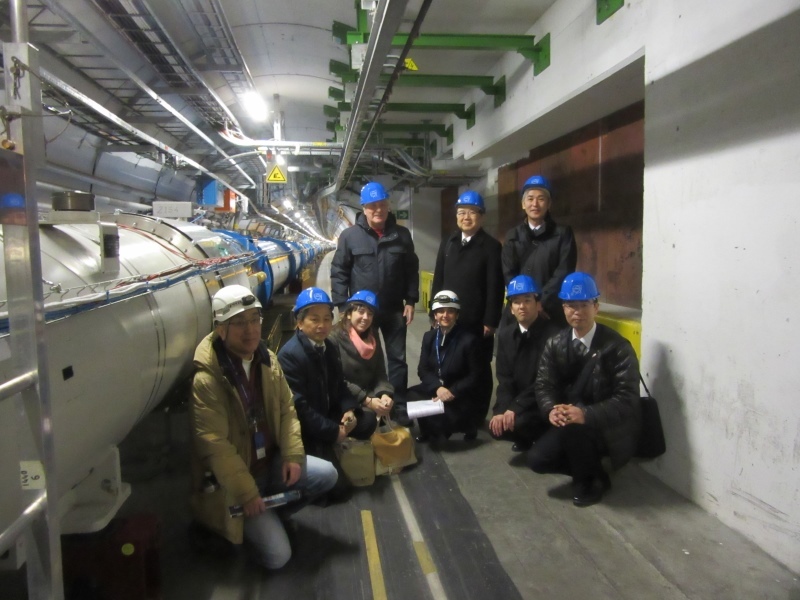 The leading body in Japan for particle physics research and for pushing forth the ILC project. The French Alternative Energies and Atomic Energy Commission (CEA) is a key player in the domains of defense and security, nuclear energy (fission and fusion), technological research for industry, and fundamental research in the physical and life sciences.​ The CEA Saclay Research Center is located outside of Paris and is also the place of the CEA Headquarters. IRFU, Institute of Research into the Fundamental Laws of the Universe, is a basic institute of the CEA’s Direction for Fundamental Research, which covers the fields of astrophysics, nuclear physics, and particle physics. The National Center for Scientific Research (CNRS) is a public organization which carries out academic research in all fields of knowledge through its ten institutes. The Institute of Nuclear and Particle Physics (IN2P3) is one of the CNRS institutes, which acts as coordinator in the fields of nuclear, particle and astroparticle physics, and contributes to the technological advances in the health and energy sectors, from the academic point of view. The Deutsches Elektronen-Synchrotron, a national particle physics laboratory in Hamburg, Germany. Large Hadron Collider. This circular particle collider is the largest in the world at 27km. The Higgs particle was discovered by this machine in 2012. One of the massive detector devices (like a big digital camera) that record the collisions at LHC. The European x-ray free electron laser (European XFEL) is currently under construction in Hamburg, Germany. Within this facility is a 2.1 km long superconducting linear accelerator – kind of like a mini-ILC. The most brilliant storage ring based X-ray source worldwide. No longer operating, but was DESY’s largest particle accelerator. Superconducting radiofrequency. A technology used to accelerate particles to high energies, developed at DESY. This will be used at the ILC. Within these devices are SCRF cavities that are super-cooled to allow particles to accelerate to blinding speeds. Lining up 100 in a row will get you the European XFEL, while it will take around 2,000 to create the ILC.